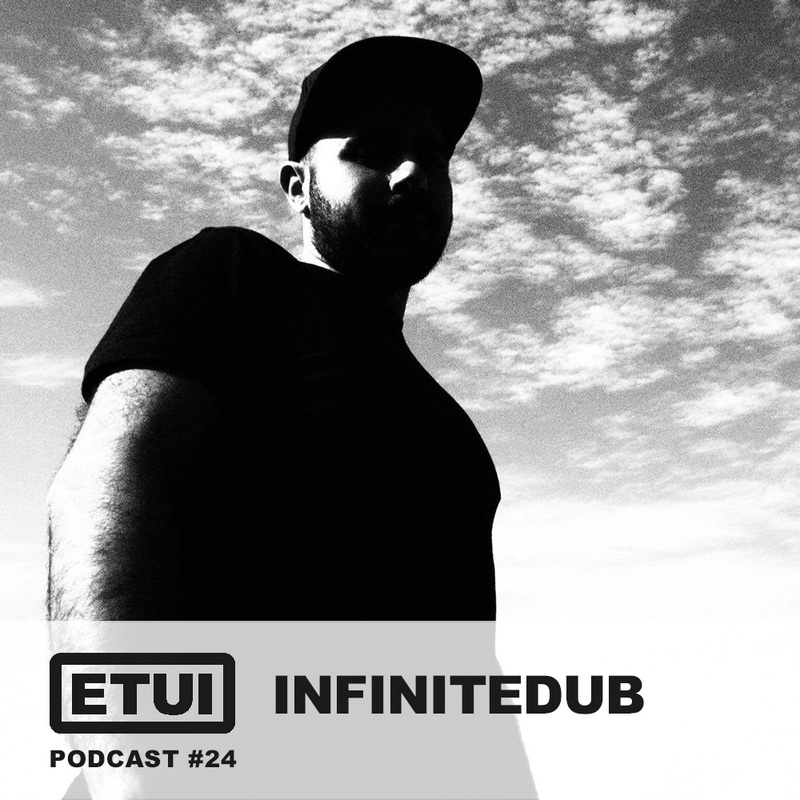 Infinitedub is the mysterious producer from Malta. Inspired by abstract art, tape machines and natural surroundings. He joined our Etui Camp with his track “Pulse Storm” on our latest Etui Winter Camp compilation. On June 30th 2018 he presents the first Etui showcase in Malta. So it’s a good time to have a chat with him about his synthesizers and the techno scene in Malta. I started following electronic music passionately when I was around 16 years old, along with collecting records since then. My passion for dub influenced techno and house followed a few years later after discovering Rhythm & Sound, Basic Channel, Bluetrain, Echospace and the likes. From what do you draw your inspirations? I am obsessed with discovering new records and processing sounds into different mediums. Can you tell us a bit about your studio setup and your workflow? I have recently moved into my new studio and getting used to the new setup with the UAD Apollo as the main audio interface. I run the Oberheim OB-8 and Prophet 6 into preamps and some effects like the Eventide Space & Roland RE-301. Drum machines, samples and synths are recorded and arranged on Ableton. Sometimes taken out and processed on outboard gear or UAD plugins. The Ob-8 and Prophet 6 are famous for its characteristic sounds. What makes this sound for you? They are timeless with a huge sound. I can play a chord, process it with some effects and almost instantly – it sounds fantastic. The OB-8 is old and has a very simple layout but with a lot of modulation possibilities. Some of the keys don’t work anymore but luckily it has an old midi retrofit (it’s impossible to trust a ‘qualified’ technician to work on the synth on this tiny island – or to ship such a huge beast). The 4/2 pole filters are amazing and it sounds extremely warm, sometimes hard to tame in the mix. On the other hand the Prophet 6 is very advanced and can do absolutely everything while still sounding lush. I have the desktop version so it’s very handy for performing live. You are using original Roland Chorus Echo RE-301, which somebody says it´s the better space echo. What’s the reason that you are using the old gear instead of plug in emulations? I like to use both in my tracks. It’s nice to tweak/modulate the sound through the real space echo on the spot and when just passing through the preamp & chorus. Also the type/age of tape can also affect the sound in very different ways which is interesting. Sometimes I like to cut my own tape loops for some weird effects. Still, I like to use the plugin for clean, subtle effects – I feel the plugin is very predictable though compared to the actual unit. Your track “Pulse Storm” has been released on latest Etui Winter Camp compilation. Can you tell as about how you recorded and produced the track? It was done before I moved into my new studio so almost completely on my laptop. I ran a chord from the Prophet 6, used a granular sampler and effects from the RE-301. The rest was using Operator on Ableton. The idea for the track was to create a storm of constant chords and keeping it simple on the drums. What about the techno scene in Malta? We have a very strong techno scene here with both popular and obscure international artists brought down every week by different promoters. The venues are limited – due to this it is quite hard to organise certain events since they are usually booked a year in advance. The main club is ‘Liquid Club’, having good sound system & layout. Festivals like ‘Glitch’ are also putting the country on the map, hosting lineups of high standard acts. You also running your own regular parties. What have you planned next? On the 30th of June 2018 I am hosting the first ETUI Label Night in Malta with Insect O., Spork, Trapdoor and myself at Liquid Club. Normally we don’t have much dub techno events but people here are always looking forward for that sound – it’s going to be huge. Currently, I am working on an EP and a vinyl release. The mix incorporates my favourite new and old records which are meant to lead the listener into an immersive experience.